Branch Banking & Trust (BB&T), one of the largest financial services groups in the US, is taking a “leap of faith” with a new core banking system from SAP. 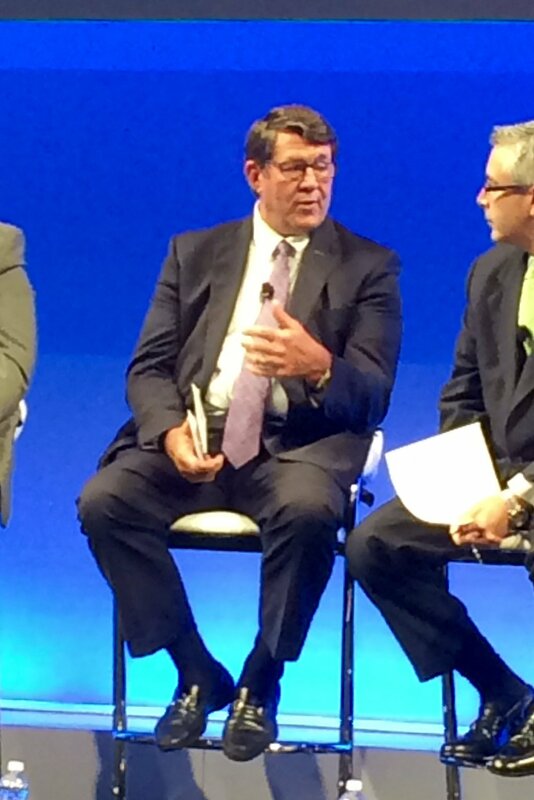 Speaking at SAP’s annual Sapphire conference in Orlando, Will Shupe, BB&T’s executive vice-president responsible for IT and operations, said the bank opted for a gradual renovation approach of its core banking software. SAP’s offering, SAP for Banking (namely its Loans Management component), will be implemented to support BB&T’s retail lending operations. This is a major breakthrough for SAP, as this is the first core banking software deal in the US, following a multi-year effort to find a customer. SAP’s core banking system is currently undergoing validation of compliance with the state and national regulations. BB&T is already an established user of SAP’s software, but not in the core banking space until now. Recently, BB&T has been working with SAP on an enterprise-wide roll-out of a new consolidated financial and reporting system. Banking Technology understands there was no formal system selection for the core banking component. The deal has been recently signed; planning and mobilisation activities are underway. The project is expected to kick off within a few weeks. In parallel, BB&T is modernising its loan origination software. The first stage will involve the back office operations of Sheffield Financial, a small North Carolina-based subsidiary of BB&T that specialises in power equipment and specialist vehicles financing. Sheffield has financed over $15 billion in consumer and commercial revolving and instalment retail loans since its inception in the early 1990s. It employs 175 people. By comparison, the BB&T group employs 33,400 people. It has 1,800+ financial centres across 15 US states and $188.4 billion in assets. In any case, this is a significant deal as core banking software projects involving international vendors are far and few between in the US. SAP hopes that BB&T will open doors to further business in the country. SAP is not the only one eyeing this market – Infosys, TCS Financial Solutions and Temenos are also on the case. Infosys has one client – Discover Financial – live on its flagship Finacle core banking system, although it is understood to be a heavily customised version. The project was a number of years in the making, with the go-live finally happening in 2014. TCS is yet to gain a live site at its first customer in the US, Utah-based Zions Bancorp. Zions is going through a major technology and operational overhaul as it is trying to standardise its seven banking subsidiaries on a common platform, TCS Bancs. The deal was signed in 2013. Banking Technology understands the project is running late. Meanwhile, following a number of unsuccessful attempts to penetrate the US market via partnerships, Temenos has turned to acquisitions. It now owns two banking software companies in the US. One is Trinovus, a Software-as-a-Service (SaaS) vendor with a range of solutions (including a legacy core banking system, which is hoped to be eventually replaced by T24) and 800 FI clients. The other is Akcelerant, a loan origination and collection specialist with around 600 FI clients, mainly in the credit union space. At Temenos’ recent annual conference, Temenos Community Forum, the vendor said it is going all out in its plans to grow its US market share with a top 25 bank expected to implement the T24 core banking system soon.